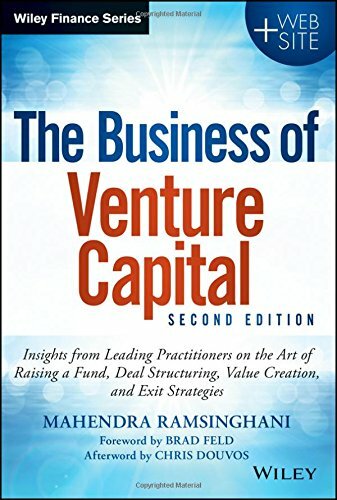 The Business of Venture Capital, Second Edition covers the entire spectrum of this field, from raising funds and structuring investments to assessing exit pathways. Written by a practitioner for practitioners, the book provides the necessary breadth and depth, simplifies the jargon, and balances the analytical logic with experiential wisdom. Starting with a Foreword by Mark Heesen, President, National Venture Capital Association (NVCA), this important guide includes insights and perspectives from leading experts. Those aspiring to raise a fund, pursue a career in venture capital, or simply understand the art of investing can benefit from The Business of Venture Capital, Second Edition. The companion website offers various tools such as GP Fund Due Diligence Checklist, Investment Due Diligence Checklist, and more, as well as external links to industry white papers and other industry guidelines.